Here you can find happenings in my life under the sun, events, random stuffs or even you. I'll write something about you here if I get the chance. Please check out my new site at mynameisken.net. I'm retiring this blog. Bye! Need a house or just want to invest? You're on the right track. I just found out about this last few days, equity is for as low as 3,930 pesos monthly amortization for 3 years. Contact me ASAP because they are still pre-selling and this offer is only by the end of this month, March 2013. Because, by next month, there will be a price increase... again. 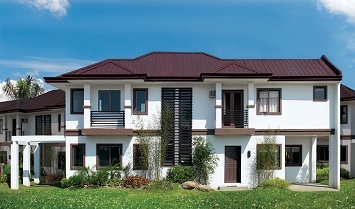 Reservation fee is for only 5,000 pesos on their 6-cluster townhouse and 10,000 pesos on their duplex/twin-house. And I heard rumors about the horizon residences which is not yet opened, the reservation fee is 20,000 pesos. 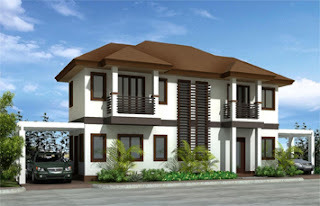 It is just 300 meters away from the highway, near the public market, near the Gaisano mall and bridge to Cordova. At first I thought it was a long way to go because I have never been to Cordova, yesterday was the first time and to my surprise it was just a few minutes drive from the main road. I was at their office yesterday and their broker/agent introduced their residential village to my friend who just made a reservation yesterday. So scroll down to know more. I am amazed with their offer and the location is great compared to other realty like Camella Homes or Deca Homes which also offers low downpayment and low equity rates. Well, I'm not saying that their property is bad or something. It's just that Pueblo de Oro meets my expectation of comfortable living. 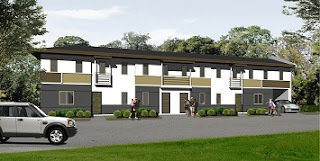 Specially with their 6-cluster townhouses. Minimum Lot Area: 40 sq.m. 30% down payment payable in 1 year without interest. If paid outright, 5% on the down payment will be given to the buyer. 70% Balance payable in 5 years with 16% interest per annum or 2 years without interest. 20% Down payment payable in 36 equal monthly installments at zero interest. Pueblo de Oro reserves the right to correct figures appearing herein in the event of typographical error. Monthly amortization figures quoted are exclusive of MRI and fire insurance payable to Pag-IBIG or UCPB. Actual figures to be provided by the financing institution. Sample computation from their Pag-ibig financing scheme. 30 yr loan Mo. Amort. *red prices are the monthly payments you need. Cash Price and Full Down payment terms subject to 5% discount paid within 30 days. Deferred Cash available for 2 years @ 0%. For site tour schedule, assessment and inquiries contact me now, and I'll contact a friend for a free site tour.